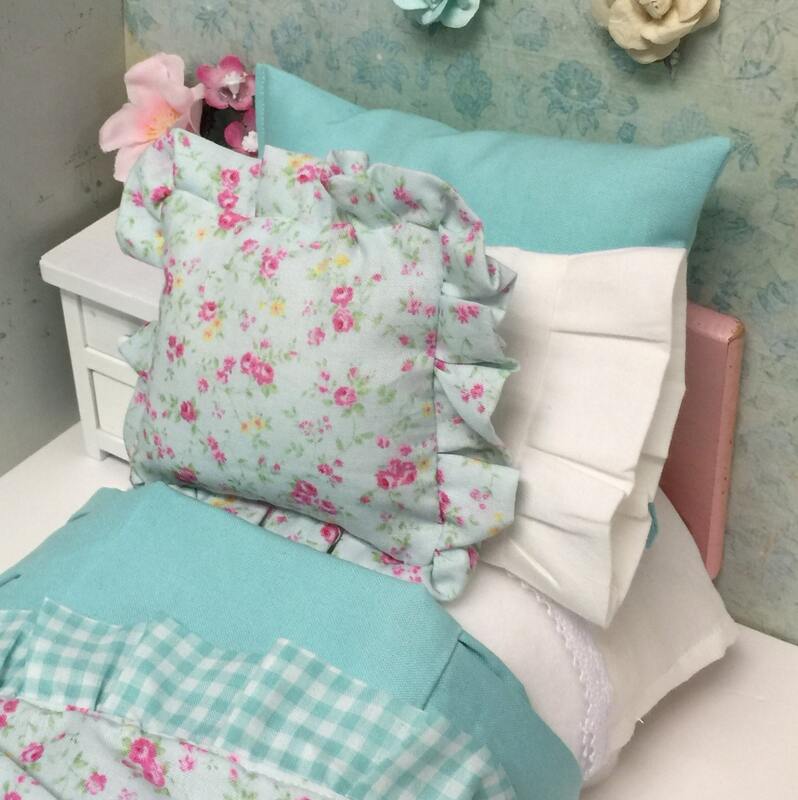 This listing is for the Aqua comforter and Pillow set only. Does not include bed, sheet set or mattress. 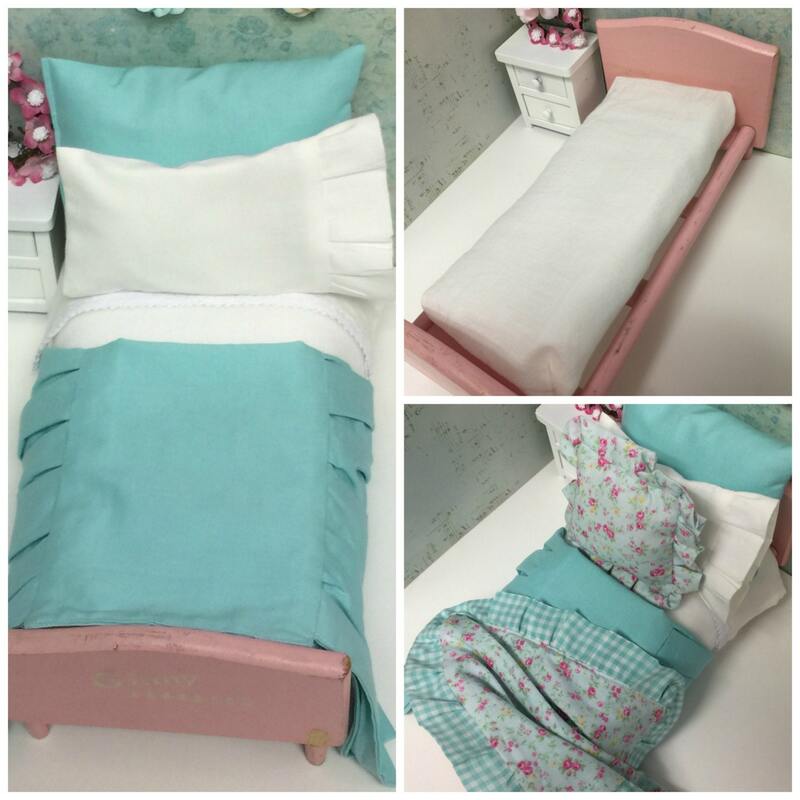 I made an Shabby style aqua ruffled comforter with ruffles, and a matching pillow sham. The comforter is reversible. I also have added a white fleece blanket that is also folded back. The comforter can be unfolded and used as a bedspread if desired. 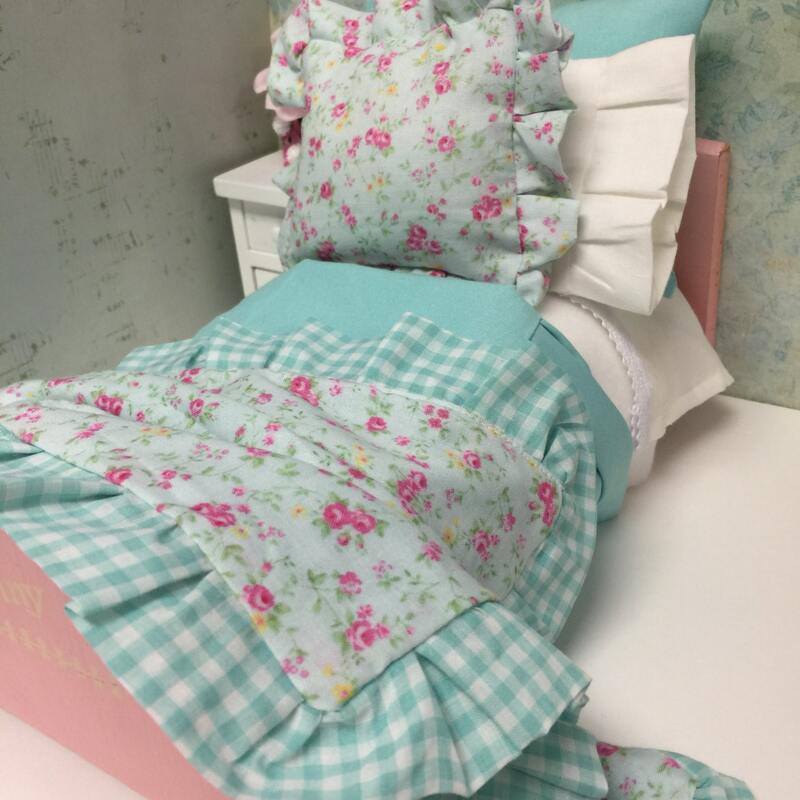 Next I added a ruffled floral throw that is edge with a sweet cottage style ruffle, and matching ruffled accent pillow. All items can be removed, pressed and draped however you would like. Would be cute with a vintage display of dolls and or teddy bears. I have acquired a lot of vintage beds, and doll furniture. 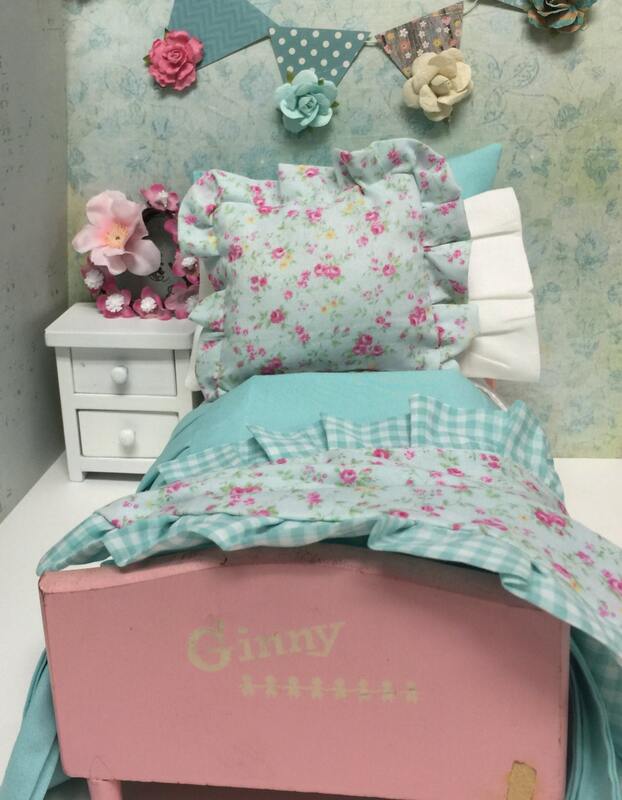 This is my first bedding collection for the Ginny doll bed. 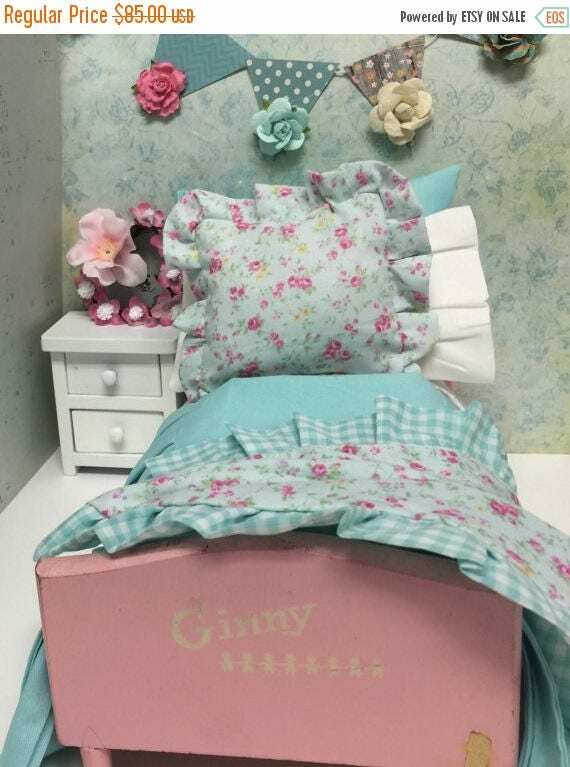 Bed size is actually 11" long, so bedding is for a Blythe sized doll bed.